My primary modality is Acceptance and Commitment Therapy (ACT). Using ACT, I help clients build mindfulness skills so they can identify unhelpful thinking patterns that are obstacles to their ability to living a meaningful life. I help them explore and clarify what’s most important to them so they have a compass to guide them when they’re lost or stuck. In ACT, we learn skills such as “defusion” and “expansion” to help manage uncomfortable feelings and thoughts rather than suppress or run away from them so there is more energy available to spend on taking actions toward their values. ACT has proven effective with a wide range of mental health problems including depression, OCD, workplace stress, chronic pain, the stress of terminal cancer, anxiety, PTSD, anorexia, heroin abuse, marijuana abuse, and schizophrenia. (Zettle & Raines, 1989; Twohig, Hayes & Masuda, 2006; Bond & Bunce, 2000; Dahl, Wilson & Nilsson, 2004; Branstetter, Wilson, Hildebrandt & Mutch, 2004). 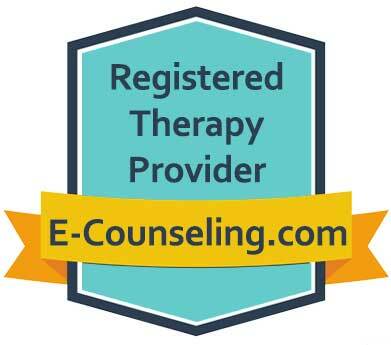 I have chosen to focus on ACT in my private practice because of it’s long-term effects and emphasis on normalizing “negative” emotions so clients don’t struggle with anxiety about their anxiety, or fear about their fear! My approach in therapy also utilizes aspects of Motivational Interviewing (MI). Using MI, I provide that objective third-party perspective so clients are able to explore their options and make decisions in a validating, collaborative, and supportive environment. Thus combining ACT and MI I help clients create work/life balance, improve communication skills, reduce conflict, and increase their ability to manage anxiety/depression. After completing therapy with me, my clients find that their flexibility to navigate life’s ups and downs has greatly increased while at the same time they are spending more time on fulfilling activities and taking risks in order to meet their goals.